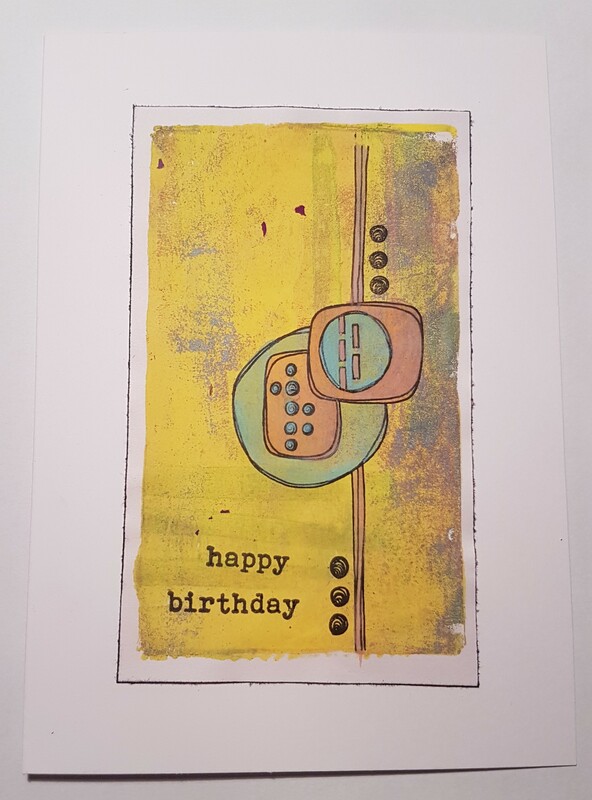 Whilst I was trying to sort out the piles of stuff on my craft desk I came across a lovely gelli print I had made last month and decided to do something with it . I decided to keep it simple and just add a bold image and sentiment and make it into a card. I chose the Kim Dellow Paperartsy stamp and once I had stamped it using archival I then coloured the image using distress oxides inks. This provided a subtle colour. I then stamped the sentiment using the Emma Godfrey stamps. I edged the paper with black ink and then adhered it to the cardblank. So much a lovely way to use up the gelli print.